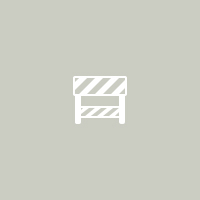 Home / Reptiles / Red eared slider blood supply seen with BriteVu!! 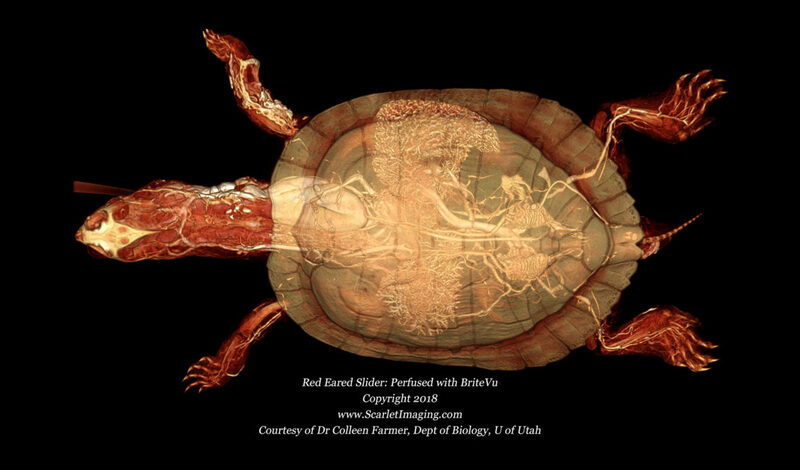 Red eared slider (Trachemys scripta elegans) contrast perfused with BriteVu. Both the respiratory and vascular systems were being studied in this turtle. A new protocol using BriteVu and BriteVu Enhancer was used perform a complete perfusion of the vasculature down to the capillaries. 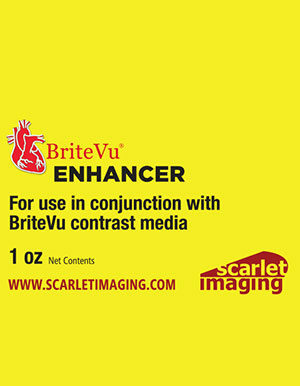 This was a contract study performed in conjunction with Scarlet Imaging. 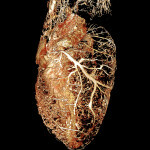 The composite image highlights both the internal (within the shell) and external vasculature. The CT was taken with the Epica Vimago system at 200µm. Individual organs can be removed for more detailed CT scanning, histology, etc. 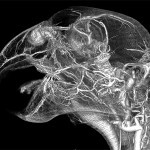 To see more images of BriteVu perfused reptiles, go to https://www.scarletimaging.com/category/reptiles/. Courtesy of Dr Colleen Farmer, Department of Biology, University of Utah. Red eared slider (Trachemys scripta elegans) contrast perfused with BriteVu- rotation video. Both the respiratory and vascular systems were being studied in this turtle. 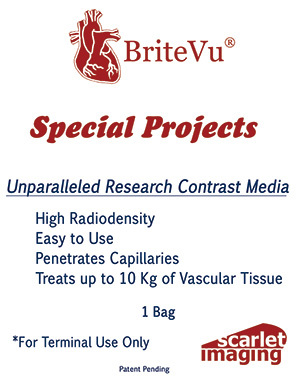 A new protocol using BriteVu and BriteVu Enhancer was used perform a complete perfusion of the vasculature down to the capillaries. 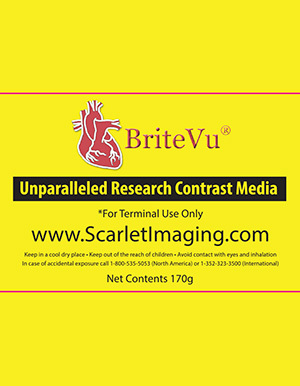 This was a contract study performed in conjunction with Scarlet Imaging. 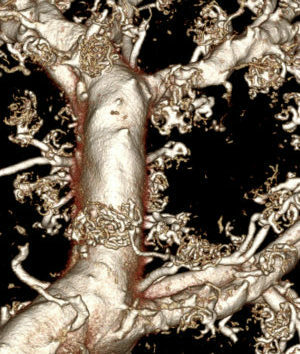 As the video rotates, different levels of the vasculature are highlighted. The image was further modified to highlight the core vasculature (at the expense of seeing the vasculature of the legs). The CT was taken with the Epica Vimago system at 200µm. 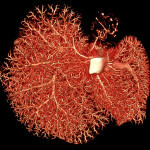 Individual organs can be removed for more detailed CT scanning, histology, etc. BriteVu used to study Traumatic Brain InjuryBriteVu perfused whole human cadaver!! !